New for 2017, the Weise Pioneer is a versatile, value-for-money all-season textile jacket in sizes and styles for men and women. Designed using feedback from Weise customers, both versions of the Pioneer share the same features, materials and construction, and are tailored and fashioned to suit the different tastes and requirements expressed by men and women. 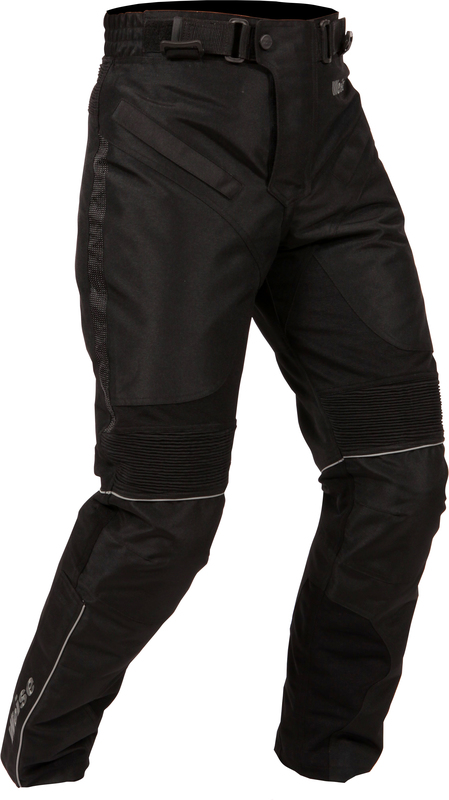 Built to adapt to the changeable conditions and temperatures experienced in autumn, the Pioneer has a waterproof and breathable drop liner and is closed by a YKK® main central zipper with Velcro®-retained storm flap. Inside is a removable 120-gram thermal quilted lining, with zipped ventilation at the shoulders, chest and back, for warmer days. 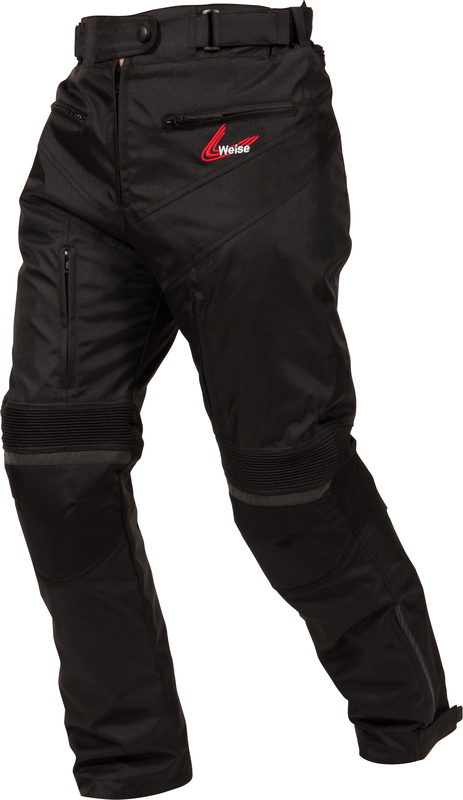 Velcro® and popper adjusters at the waist, arms, collar and cuffs enable the wearer to tailor the fit and to allow space for extra layers beneath. 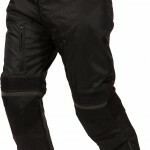 There’s also an internal 8-inch zip for attaching to Weise textile trousers. 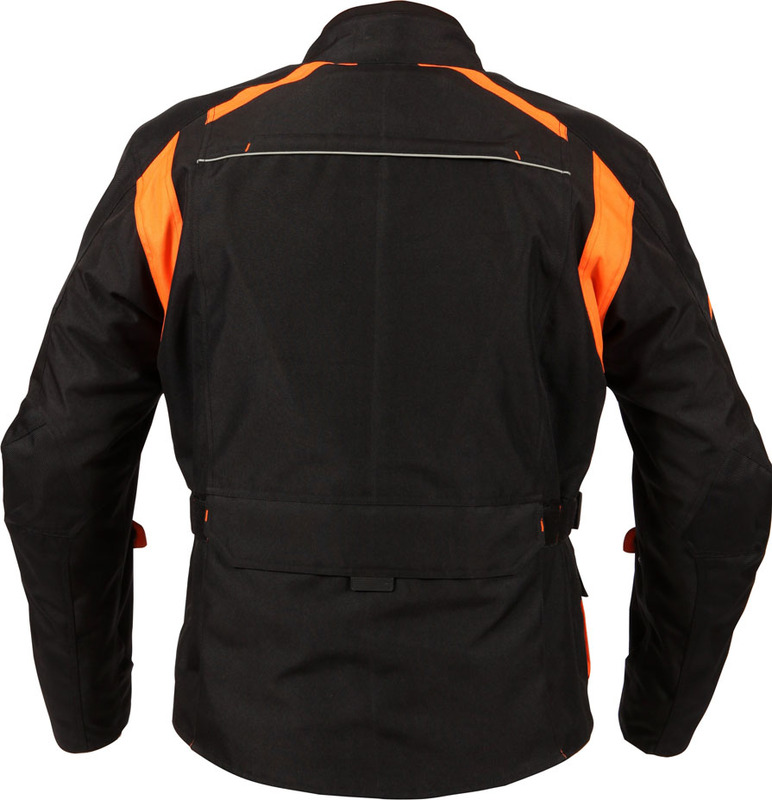 The outer shell is constructed from 600 Denier fabric with reflective detailing throughout for added visibility in the dark, and removable CE-approved armour features at the shoulders, elbows and back for impact protection. 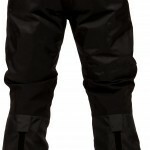 In addition to a selection of external and internal pockets, there’s a large map pocket to the rear – ideal for carrying a pair of waterproof over-trousers. 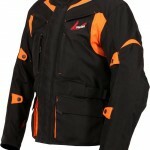 The men’s version of the Pioneer comes in sizes S – 5XL in Black, plus bright Black/Orange and Black/Neon Yellow options. 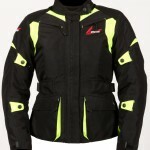 The ladies’ version is available in sizes 10-18 in Black, Black/Purple and eye-catching Black/Neon Yellow. Like all Weise products, both versions are covered by a NO-QUIBBLE TWO-YEAR WARRANTY. Weise® has two new summer glove options in its 2017 collection, one tailor-made for taking on the twist and turns, and the other for kicking back and cruising. Designed with the sports rider in mind, Weise Renegade gloves are made from full-grain leather, selected from the strongest and most durable part of the hide. With twin overlay on the palm, integrated TPU reinforcement armour to knuckles and fingers and padded panels on each cuff, these are race specification gloves. 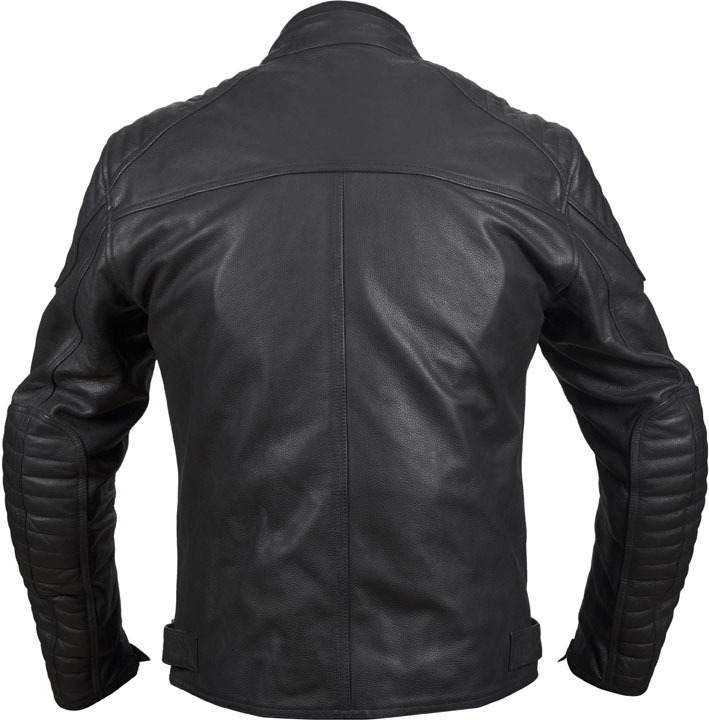 A lightweight polyester lining, coupled with the natural breathability of the leather and a perforated section on wrist, keeps hands cool and free from perspiration. Both wrist and cuff are elasticated and secured with Velcro® for a snug fit, and to help keep the gloves firmly in place. 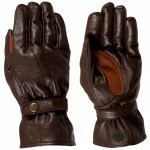 Stretch panels on the fingers and above the knuckles aid dexterity. Silicon prints on the palm help the rider keep a firm grip on the bars. 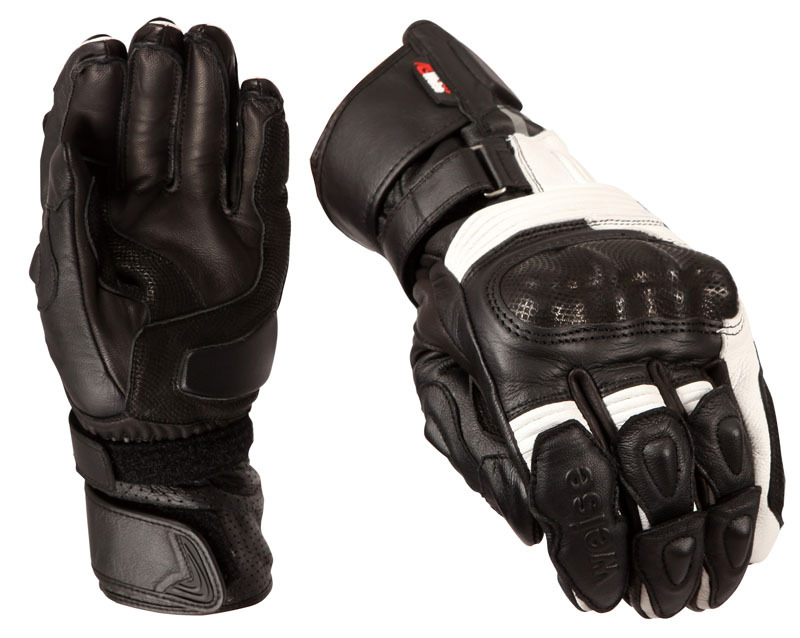 Weise Renegade gloves come in a choice of Black or Black/White, sizes XS-3XL. Traditional in design and feel, Weise Highway gloves are the ideal accompaniment to a classic, cruiser or retro motorcycle. 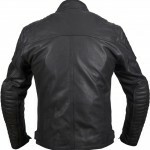 They’re made from 100% goatskin, which is soft, flexible and allows plenty of feel, yet is also highly durable. A Chamude® overlay panel on the palm provides extra grip. 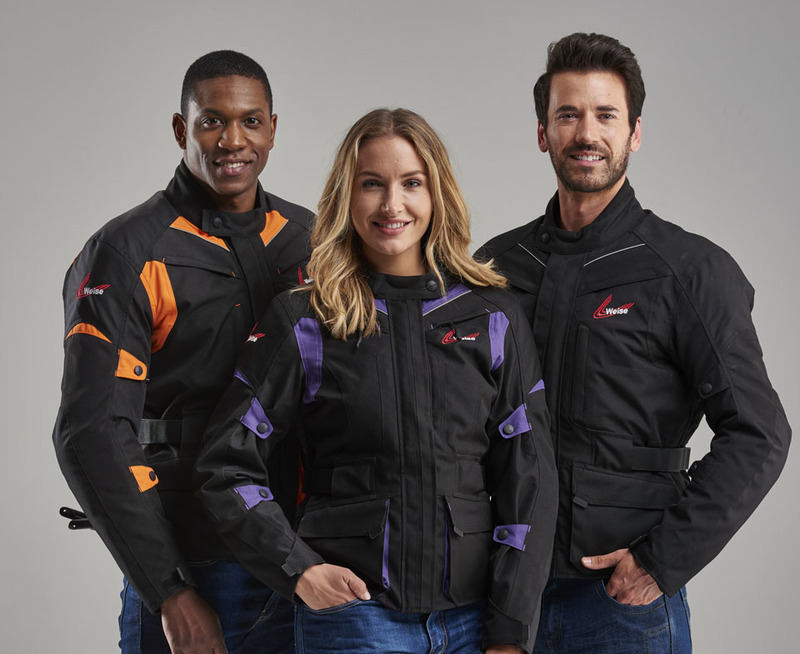 The short cuff is designed to tuck neatly under the cuffs of riding jackets for comfort – this also helps during warmer weather, allowing cooling airflow around the wrist. The adjustable popper-retained strap to the cuff offers a secure fit, and the rubber grip tab on the cuff makes putting on the Highway gloves quick and easy too. 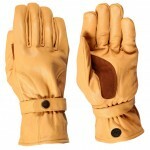 Highway gloves are available in size: XS – 4XL, in two classic colours – Brown and Tan. As the autumn nights draw in and weather conditions deteriorate, motorcyclists can often find themselves riding in poor visibility. The advice from Think! – the Department for Transport road safety campaign – is crystal clear; “Wear bright or fluorescent gear during the day and reflective gear at night”. 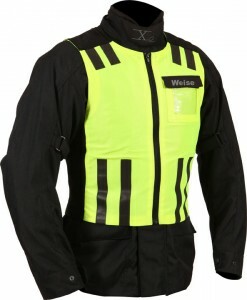 Weise® designed the Vision waistcoat specifically for motorcycle & scooter riders. 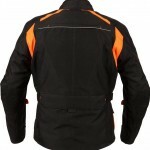 It is made from 75 Denier polyester and Lycra® so that it fits snugly over bike clothing and won’t flap about in the wind. Its bright neon yellow colour is enhanced by reflective stripes to front and back and there is a useful ID pocket for driving licence or emergency contact details. The Weise Vision is washable, so it can be kept bright and fresh, and comes in sizes S-5XL for a perfect fit over motorcycle clothing. 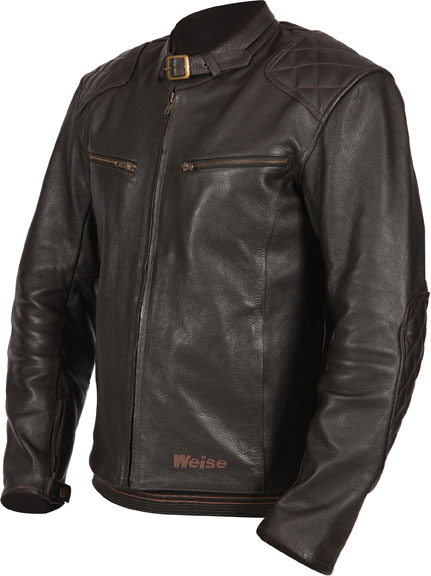 Made from tough yet flexible natural-milled cowhide and with CE-approved armour throughout, including at the back, the new Weise® Spirit leather jacket blends timeless styling with modern levels of comfort & impact protection. 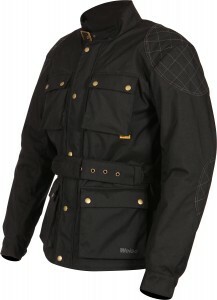 Classic details feature throughout, adding to the feel of traditional quality. 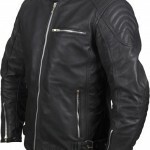 Adjustable fastenings at the base of jacket are secured with buckles, and the collar has a soft lining for added comfort, and can be tightened or loosened using poppers. 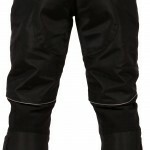 The cuffs have a zipped closure, which is fastened with poppers. 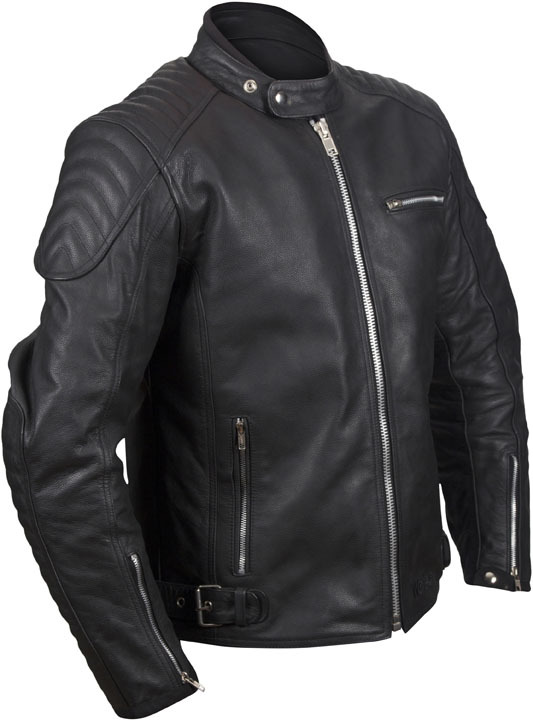 All zips are vintage-style metal by YKK® and there is padded leather detailing on the shoulders and elbows to complete the classic look. The Spirit is available in men’s chest sizes 40″-50″. Call The Key Collection on 0117 971 9200 or click HERE for details. 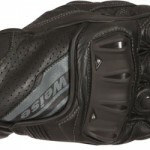 Weise® have added two gloves to their range, both of which are CE-approved. Named after the legendary Roman twins, Romulus and Remus join the handful of riding gloves that have passed the stringent testing for EN13594:2014 – “Protective gloves for motorcycle riders”. 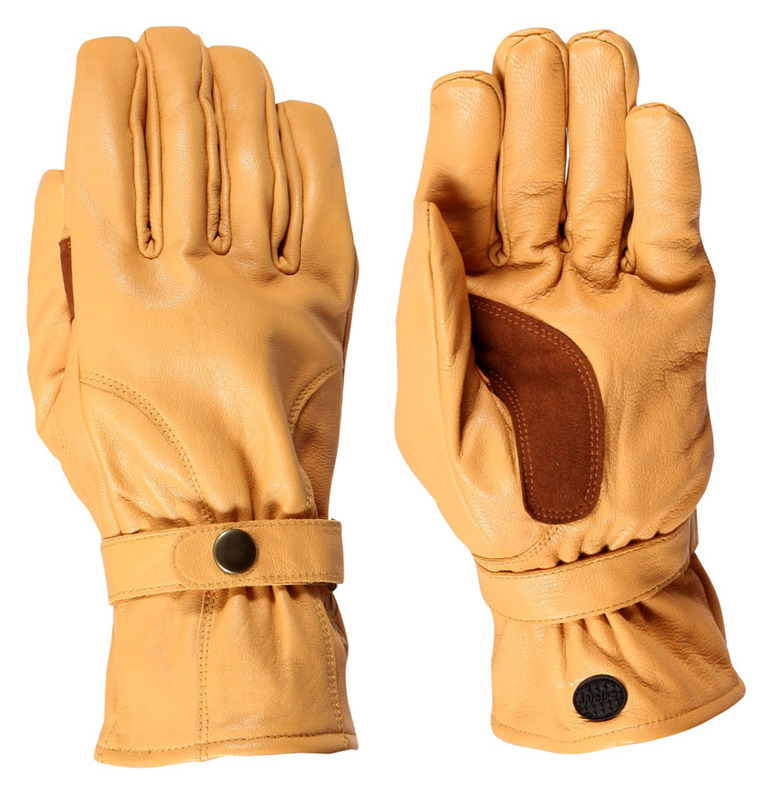 Gloves are tested for abrasion-resistance, restraint (to assess the likelihood of the glove coming off the rider’s hand during an accident) and integrity (measuring the strength of seams or joints). 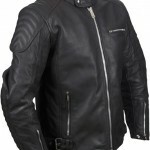 Dexterity is also appraised, to ensure that the rider can still operate controls easily while wearing them, and there is even a durability test. In addition, both Romulus and Remus pass the optional impact protection test for knuckle armour, as denoted by KP on the label. 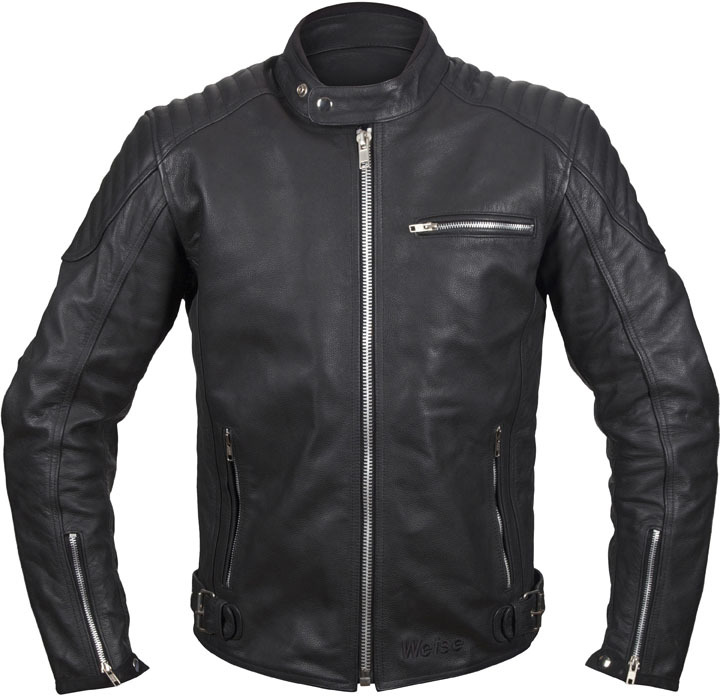 Designed with the touring rider in mind, Romulus are made from tough, yet supple, full-grain leather, and are unlined to maximise feel and feedback through the handlebars. 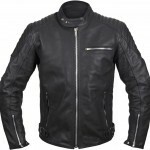 Twin leather overlay on the palms provides extra abrasion protection and, to guard against impact, there is carbon shell armour on the fingers, thumbs and knuckles. Both the cuffs and wrist are secured with Velcro for a snug fit and to help keep the gloves firmly in place in the event of a slide. Romulus come in black, sizes S-3XL. The short-cuff Remus are as equally at home on a sports or naked bike as they are on a retro, cruiser or scooter. 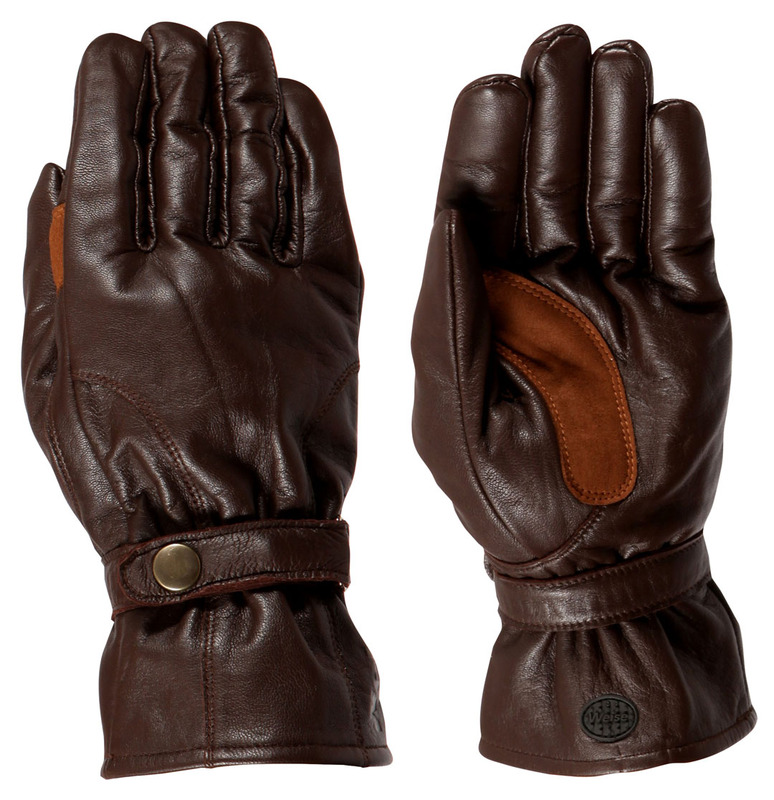 Like the Romulus, they’re full grain leather, which is perforated on the back of the hand and thumb to let in the cool air and allow heat and perspiration to escape. 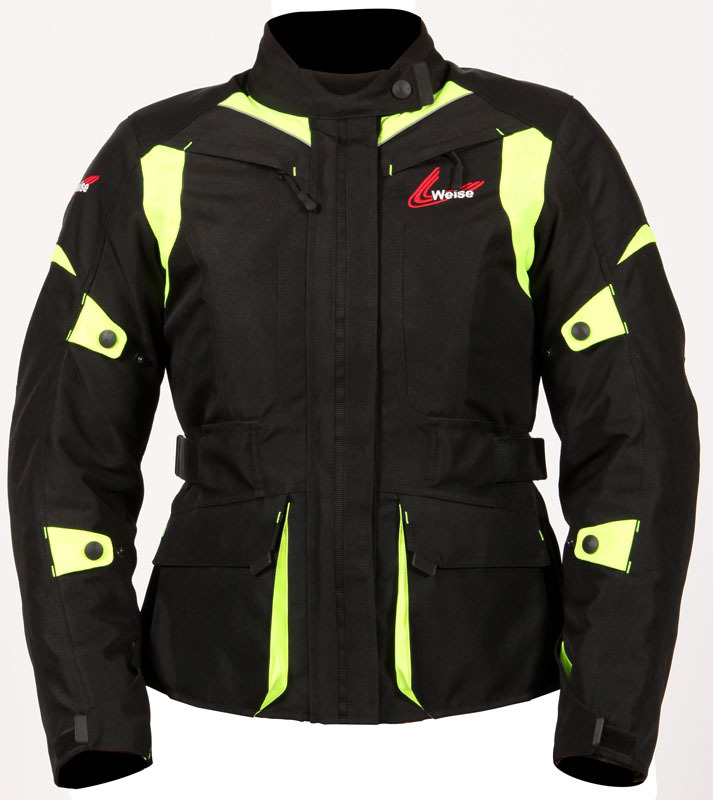 The short cuff also fits comfortably under the wrist-fastenings of most riding jackets. 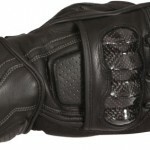 TPU reinforcements to knuckles, fingers and thumb, plus a twin leather overlay on the palm, provide all-round protection for the hand and peace of mind for the rider. 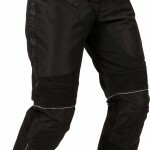 The Velcro-retained strap to the cuff makes sure the protection stays where it’s needed. Weise Remus also come in black, sizes S-3XL. 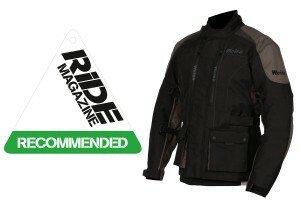 RiDE magazine has recommended the Weise Nevada ST in its test of £150 textile jackets. 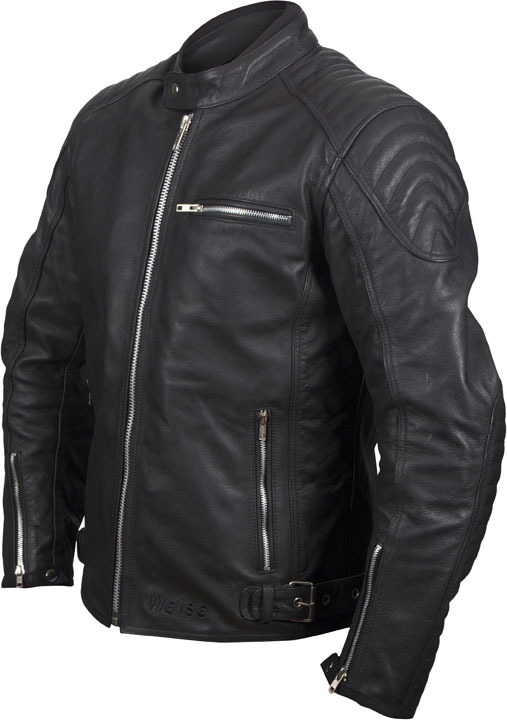 Retailing for just £139.99, the Weise Nevada ST was one of the few jackets on test that included a CE-approved back protector as standard (out of the 17 tested, only four included CE-back armour). 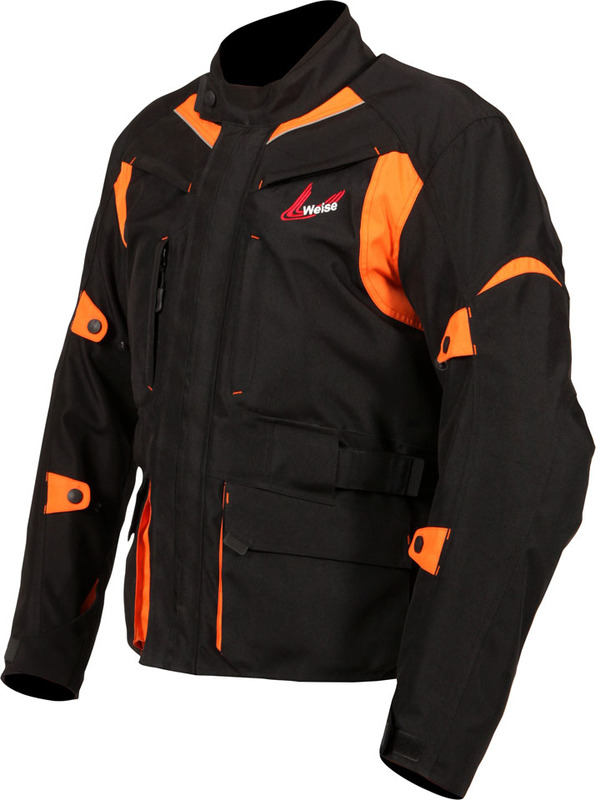 The previous version of the Nevada was recommended in RiDE’s 2012 textile jacket test, proving that Weise is a brand you can sell with confidence. That’s why every Weise product comes with a no-quibble two-year warranty. The Weise Nevada ST is available in sizes Small to 5XL.